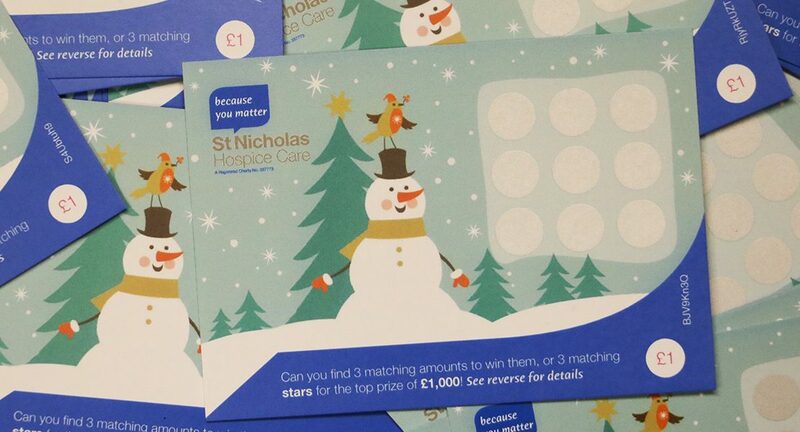 St Nicholas Hospice Care scratch cards are a fun way to fundraise, either personally with one or two every now and then or by buying in bulk for events and occasions to really make some impact. 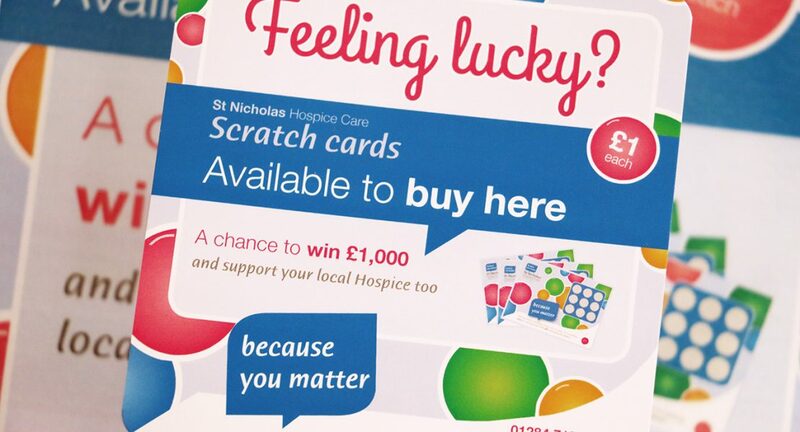 Scratch cards cost just £1 each and all profits help fund the Hospice’s services throughout West Suffolk and Thetford. Our scratch cards are available in three designs – wedding favours, Christmas and an all-occasion style. You can support the Hospice and give your guests the chance of a windfall with our specially designed wedding favour scratch cards. We also have a range of festive scratch cards which make the ideal stocking filler or party favour.